This may sound like a silly question but credit card companies would lead you to believe it is not possible to live a cash only life. Their marketing teams push hard to make us believe life without a credit card is just not possible. Those of us that have been in debt or are struggling to get out know that credit cards are not all they are cracked up to be. If you carry a balance monthly it is costing you; interest, late fees, over the limit fees, and often the headaches that go along with them. Credit cards provide us with a false sense of security, a credit limit with funds “available” to back us up in an emergency; but irresponsible credit card use can cost you dearly. So how can you break the vicious cycle of credit card debt? Many of us view our credit limit as “extra income”, and as long as we’re not “maxed out”; the money left on our credit cards is fair game. The problem with credit cards is that create a vicious cycle; the more you have to pay toward your credit cards, the less cash you have to pay for things, which leads to charging more things on credit cards. This leaves you with a dependence problem; you feel paying with only cash will never work for you or that closing your accounts means you won’t be able to survive. How will I pay for big-ticket items? How will I rent a car, hotel, or buy airline tickets? How can I pay for on-line purchases? Yes, a credit card is helpful for all of these situations; but a necessity it is not. If you work on your budget, plan for the unexpected, and research alternatives to credit cards you can make it without having one. The two biggest objections to a cash only lifestyle are, “How will I rent a car, hotel, or buy airline tickets? 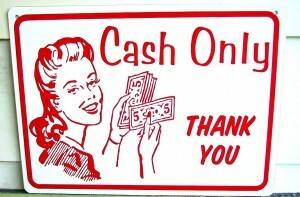 And, I want to purchase something online; I can’t do that with cash.” Sure you can. Establish an emergency fund. We all know experts recommend that everyone have an emergency fund and for good reason. Your emergency fund is a reserve of cash for those expenses that crop up that are beyond our control; such as, needing to rent a car, or reserve a hotel room and purchase a plane ticket for an out of town funeral. If your fund is not attached to a debit card that’s ok, you can easily transfer the necessary funds to your debit card. A “debit card” with the Visa or MasterCard logo. Many car rental agencies and hotels will accept these, but they may place a hold on funds for several days to serve as a deposit. This could amount to several hundred dollars, so make sure that you have adequate funds on hand so you aren’t charged fees. Every company is different so you should always check with them ahead of time by calling a manager, or searching for information on their website. Open a PayPal account. You can also use your debit card for online purchases, however the protections are not the same as a traditional card, so be careful. PayPal offers security and better yet can be linked directly to your bank account. No credit card required. As I mentioned earlier a cash only lifestyle requires planning. Think about the items you would have normally charged to your credit cards: your kids school clothes, a replacement dishwasher, or holiday gifts. These are all things you can prepare for. Make a list of these types of expenses that you can save for. You can set up separate accounts for each or determine the approximate costs and set your goal. 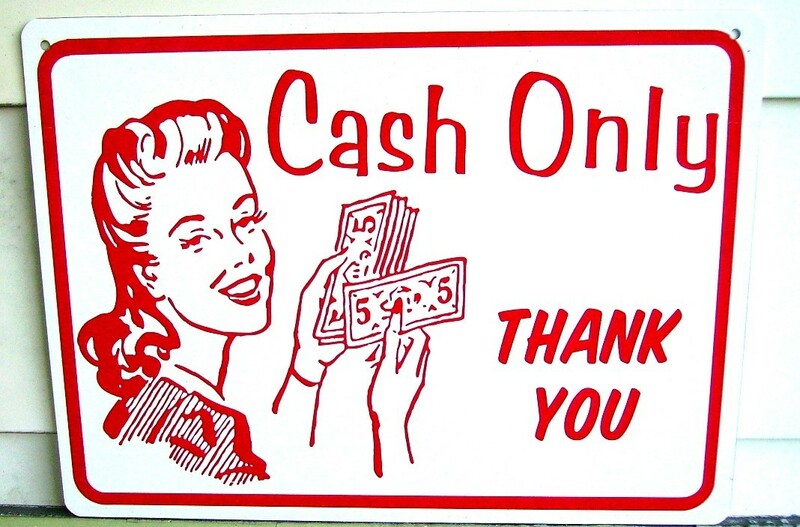 This way when the time comes to make the purchase you’ll be prepared to pay with cash! A piggy bank. Empty your pockets of loose change or bills at the end of the day and place them directly in your piggy bank. Chances are you won’t miss the money. Envelope System. Create an envelope for each of your upcoming expenses that aren’t regular occurrences. Layaway. Layaway is making a comeback. You can select the item or items you want and have the store hold them until you have the cash to pay for it. Just watch out for fees associated with layaway-you may find it more cost effective to save up on your own. A cash only life involves a little more work, dedication, and planning but will be worth all the hassle when you are debt free and free from the added expense of interest and fees that accompany credit cards. You will be keeping more of your hard earned dollar and find you even have more money for the little things you may have given up while on your journey to become debt free. What tips do you have for living a cash only life?